This article is about oral tradition in general. For the gospel tradition in Christianity, see Oral gospel tradition. For the journal, see Oral Tradition (journal). Oral tradition, or oral lore, is a form of human communication wherein knowledge, art, ideas and cultural material is received, preserved and transmitted orally from one generation to another. The transmission is through speech or song and may include folktales, ballads, chants, prose or verses. In this way, it is possible for a society to transmit oral history, oral literature, oral law and other knowledge across generations without a writing system, or in parallel to a writing system. Religions such as Buddhism, Hinduism and Jainism, for example, have used an oral tradition, in parallel to a writing system, to transmit their canonical scriptures, secular knowledge such as Sushruta Samhita, hymns and mythologies from one generation to the next. Oral tradition is information, memories and knowledge held in common by a group of people, over many generations, and it is not the same as testimony or oral history. In a general sense, "oral tradition" refers to the recall and transmission of a specific, preserved textual and cultural knowledge through vocal utterance. As an academic discipline, it refers both to a set of objects of study and a method by which they are studied. The study of oral tradition is distinct from the academic discipline of oral history, which is the recording of personal memories and histories of those who experienced historical eras or events. Oral tradition is also distinct from the study of orality defined as thought and its verbal expression in societies where the technologies of literacy (especially writing and print) are unfamiliar to most of the population. A folklore is a type of oral tradition, but knowledge other than folklore has been orally transmitted and thus preserved in human history. The Judeo-Christian Bible reveals its oral traditional roots; medieval European manuscripts are penned by performing scribes; geometric vases from archaic Greece mirror Homer's oral style. (...) Indeed, if these final decades of the millennium have taught us anything, it must be that oral tradition never was the other we accused it of being; it never was the primitive, preliminary technology of communication we thought it to be. Rather, if the whole truth is told, oral tradition stands out as the single most dominant communicative technology of our species as both a historical fact and, in many areas still, a contemporary reality. In Asia, the transmission of folklore, mythologies as well as scriptures in ancient India, in different Indian religions, was by oral tradition, preserved with precision with the help of elaborate mnemonic techniques. Some scholars such as Jack Goody state that the Vedas are not the product strictly of an oral tradition, basing this view by comparing inconsistencies in the transmitted versions of literature from various oral societies such as the Greek, Serbia and other cultures, then noting that the Vedic literature is too consistent and vast to have been composed and transmitted orally across generations, without being written down. According to Goody, the Vedic texts likely involved both a written and oral tradition, calling it a "parallel products of a literate society". In ancient Greece, the oral tradition was a dominant tradition. Homer's epic poetry, states Michael Gagarin, was largely composed, performed and transmitted orally. 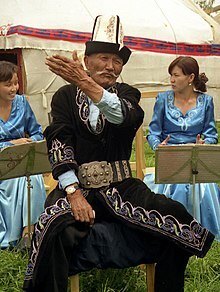 As folklores and legends were performed in front of distant audiences, the singers would substitute the names in the stories with local characters or rulers to give the stories a local flavor and thus connect with the audience, but making the historicity embedded in the oral tradition as unreliable. The lack of surviving texts about the Greek and Roman religious traditions have led scholars to presume that these were ritualistic and transmitted as oral traditions, but some scholars disagree that the complex rituals in the ancient Greek and Roman civilizations were an exclusive product of an oral tradition. The Torah and other ancient Jewish literature, the Judeo-Christian Bible and texts of early centuries of Christianity are rooted in an oral tradition, and the term "People of the Book" is a medieval construct. This is evidenced, for example, by the multiple scriptural statements by Paul admitting "previously remembered tradition which he received" orally. Oral traditions face the challenge of accurate transmission and verifiability of the accurate version, particularly when the culture lacks written language or has limited access to writing tools. Oral cultures have employed various strategies that achieve this without writing. For example, a heavily rhythmic speech filled with mnemonic devices enhances memory and recall. A few useful mnemonic devices include alliteration, repetition, assonance, and proverbial sayings. In addition, the verse is often metrically composed with an exact number of syllables or morae - such as with Greek and Latin prosody and in Chandas found in Hindu and Buddhist texts. The verses of the epic or text are typically designed wherein the long and short syllables are repeated by certain rules, so that if an error or inadvertent change is made, an internal examination of the verse reveals the problem. Oral Traditions are able to be passed on through means of plays and acting which can be shown in the modern day Cameroon by the Graffis or Grasslanders how act out and deliver speeches to spread their history in the manner of Oral Tradition. Such strategies help facilitate transmission of information from individual to individual without a written intermediate, and they can also be applied to oral governance. The law itself in oral cultures is enshrined in formulaic sayings, proverbs, which are not mere jurisprudential decorations, but themselves constitute the law. A judge in an oral culture is often called on to articulate sets of relevant proverbs out of which he can produce equitable decisions in the cases under formal litigation before him. Rudyard Kipling's The Jungle Book provides an excellent demonstration of oral governance in the Law of the Jungle. Not only does grounding rules in oral proverbs allow for simple transmission and understanding, but it also legitimizes new rulings by allowing extrapolation. These stories, traditions, and proverbs are not static, but are often altered upon each transmission barring the overall meaning remains intact. In this way, the rules that govern the people are modified by the whole and not authored by a single entity. The Vedic texts were orally composed and transmitted, without the use of script, in an unbroken line of transmission from teacher to student that was formalized early on. This ensured an impeccable textual transmission superior to the classical texts of other cultures; it is, in fact, something like a tape-recording... Not just the actual words, but even the long-lost musical (tonal) accent (as in old Greek or in Japanese) has been preserved up to the present. Jata-pāṭha, dhvaja-pāṭha and ghana-pāṭha are methods of recitation of a text and its oral transmission that developed after 5th century BCE, that is after the start of Buddhism and Jainism; these methods use more complicated rules of combination and were less used. These extraordinary retention techniques guaranteed an accurate Śruti, fixed across the generations, not just in terms of unaltered word order but also in terms of sound. That these methods have been effective, is testified to by the preservation of the most ancient Indian religious text, the Ṛgveda (ca. 1500 BCE). The following overview draws upon Oral-Formulaic Theory and Research: An Introduction and Annotated Bibliography, (NY: Garland Publishing, 1985, 1986, 1989); additional material is summarized from the overlapping prefaces to the following volumes: The Theory of Oral Composition: History and Methodology, (Indiana University Press, 1988, 1992); Immanent Art: From Structure to Meaning in Traditional Oral Epic (Bloomington: Indiana University Press, 1991); The Singer of Tales in Performance (Bloomington: Indiana University Press, 1995) and Comparative Research on Oral Traditions: A Memorial for Milman Parry (Columbus, Ohio: Slavica Publishers, 1987). in the work of the Serb scholar Vuk Stefanović Karadžić (1787–1864), a contemporary and friend of the Brothers Grimm. Vuk pursued similar projects of "salvage folklore" (similar to rescue archaeology) in the cognate traditions of the Southern Slavic regions which would later be gathered into Yugoslavia, and with the same admixture of romantic and nationalistic interests (he considered all those speaking the Eastern Herzegovinian dialect as Serbs). Somewhat later, but as part of the same scholarly enterprise of nationalist studies in folklore, the turcologist Vasily Radlov (1837–1918) would study the songs of the Kara-Kirghiz in what would later become the Soviet Union; Karadzic and Radloff would provide models for the work of Parry. In a separate development, the media theorist Marshall McLuhan (1911–1980) would begin to focus attention on the ways that communicative media shape the nature of the content conveyed. He would serve as mentor to the Jesuit, Walter Ong (1912–2003), whose interests in cultural history, psychology and rhetoric would result in Orality and Literacy (Methuen, 1980) and the important but less-known Fighting for Life: Contest, Sexuality and Consciousness (Cornell, 1981) These two works articulated the contrasts between cultures defined by primary orality, writing, print, and the secondary orality of the electronic age. I style the morality of a culture totally untouched by any knowledge of writing or print, 'primary orality'. It is 'primary' by contrast with the 'secondary orality' of present-day high technology culture, in which a new orality is sustained by telephone, radio, television and other electronic devices that depend for their existence and functioning on writing and print. Today primary culture in the strict sense hardly exists, since every culture knows of writing and has some experience of its effects. Still, to varying degrees many cultures and sub-cultures, even in a high-technology ambiance, preserve much of the mind-set of primary orality. Ong's works also made possible an integrated theory of oral tradition which accounted for both production of content (the chief concern of Parry-Lord theory) and its reception. This approach, like McLuhan's, kept the field open not just to the study of aesthetic culture but to the way physical and behavioral artifacts of oral societies are used to store, manage and transmit knowledge, so that oral tradition provides methods for investigation of cultural differences, other than the purely verbal, between oral and literate societies. The most-often studied section of Orality and Literacy concerns the "psychodynamics of orality" This chapter seeks to define the fundamental characteristics of 'primary' orality and summarizes a series of descriptors (including but not limited to verbal aspects of culture) which might be used to index the relative orality or literacy of a given text or society. In advance of Ong's synthesis, John Miles Foley began a series of papers based on his own fieldwork on South Slavic oral genres, emphasizing the dynamics of performers and audiences. Foley effectively consolidated oral tradition as an academic field  when he compiled Oral-Formulaic Theory and Research in 1985. The bibliography gives a summary of the progress scholars made in evaluating the oral tradition up to that point, and includes a list of all relevant scholarly articles relating to the theory of Oral-Formulaic Composition. He also both established both the journal Oral Tradition and founded the Center for Studies in Oral Tradition (1986) at the University of Missouri. Foley developed Oral Theory beyond the somewhat mechanistic notions presented in earlier versions of Oral-Formulaic Theory, by extending Ong's interest in cultural features of oral societies beyond the verbal, by drawing attention to the agency of the bard and by describing how oral traditions bear meaning. The bibliography would establish a clear underlying methodology which accounted for the findings of scholars working in the separate Linguistics fields (primarily Ancient Greek, Anglo-Saxon and Serbo-Croatian). Perhaps more importantly, it would stimulate conversation among these specialties, so that a network of independent but allied investigations and investigators could be established. Foley's key works include The Theory of Oral Composition (1988); Immanent Art (1991); Traditional Oral Epic: The Odyssey, Beowulf and the Serbo-Croatian Return-Song (1993); The Singer of Tales in Performance (1995); Teaching Oral Traditions (1998); How to Read an Oral Poem (2002). His Pathways Project (2005–2012) draws parallels between the media dynamics of oral traditions and the Internet. The theory of oral tradition would undergo elaboration and development as it grew in acceptance. While the number of formulas documented for various traditions proliferated, the concept of the formula remained lexically-bound. However, numerous innovations appeared, such as the "formulaic system" with structural "substitution slots" for syntactic, morphological and narrative necessity (as well as for artistic invention). Sophisticated models such as Foley's "word-type placement rules" followed. Higher levels of formulaic composition were defined over the years, such as "ring composition", "responsion" and the "type-scene" (also called a "theme" or "typical scene"). Examples include the "Beasts of Battle" and the "Cliffs of Death". Some of these characteristic patterns of narrative details, (like "the arming sequence;" "the hero on the beach"; "the traveler recognizes his goal") would show evidence of global distribution. At the same time, the fairly rigid division between oral and literate was replaced by recognition of transitional and compartmentalized texts and societies, including models of diglossia (Brian Stock Franz Bäuml, and Eric Havelock). Perhaps most importantly, the terms and concepts of "orality" and "literacy" came to be replaced with the more useful and apt "traditionality" and "textuality". Very large units would be defined (The Indo-European Return Song) and areas outside of military epic would come under investigation: women's song, riddles and other genres. The methodology of oral tradition now conditions a large variety of studies, not only in folklore, literature and literacy, but in philosophy, communication theory, Semiotics, and including a very broad and continually expanding variety of languages and ethnic groups, and perhaps most conspicuously in biblical studies, in which Werner Kelber has been especially prominent. The annual bibliography is indexed by 100 areas, most of which are ethnolinguistic divisions. Present developments explore the implications of the theory for rhetoric and composition, interpersonal communication, cross-cultural communication, postcolonial studies, rural community development, popular culture and film studies, and many other areas. The most significant areas of theoretical development at present may be the construction of systematic hermeneutics and aesthetics specific to oral traditions. The theory of oral tradition encountered early resistance from scholars who perceived it as potentially supporting either one side or another in the controversy between what were known as "unitarians" and "analysts" – that is, scholars who believed Homer to have been a single, historical figure, and those who saw him as a conceptual "author function," a convenient name to assign to what was essentially a repertoire of traditional narrative. A much more general dismissal of the theory and its implications simply described it as "unprovable" Some scholars, mainly outside the field of oral tradition, represent (either dismissively or with approval) this body of theoretical work as reducing the great epics to children's party games like "telephone" or "Chinese whispers". While games provide amusement by showing how messages distort content via uncontextualized transmission, Parry's supporters argue that the theory of oral tradition reveals how oral methods optimized the signal-to-noise ratio and thus improved the quality, stability and integrity of content transmission. There were disputes concerning particular findings of the theory. For example, those trying to support or refute Crowne's hypothesis found the "Hero on the Beach" formula in numerous Old English poems. Similarly, it was also discovered in other works of Germanic origin, Middle English poetry, and even an Icelandic prose saga. J.A. Dane, in an article characterized as "polemics without rigor" claimed that the appearance of the theme in Ancient Greek poetry, a tradition without known connection to the Germanic, invalidated the notion of "an autonomous theme in the baggage of an oral poet." Within Homeric studies specifically, Lord's The Singer of Tales, which focused on problems and questions that arise in conjunction with applying oral-formulaic theory to problematic texts such as the Iliad, Odyssey, and even Beowulf, influenced nearly all of the articles written on Homer and oral-formulaic composition thereafter. However, in response to Lord, Geoffrey Kirk published The Songs of Homer, questioning Lord's extension of the oral-formulaic nature of Serbian and Croatian literature (the area from which the theory was first developed) to Homeric epic. Kirk argues that Homeric poems differ from those traditions in their "metrical strictness", "formular system[s]", and creativity. In other words, Kirk argued that Homeric poems were recited under a system that gave the reciter much more freedom to choose words and passages to get to the same end than the Serbo-Croatian poet, who was merely "reproductive". Shortly thereafter, Eric Havelock's Preface to Plato revolutionized how scholars looked at Homeric epic by arguing not only that it was the product of an oral tradition, but also that the oral-formulas contained therein served as a way for ancient Greeks to preserve cultural knowledge across many different generations. Adam Parry, in his 1966 work "Have we Homer's Iliad? ", theorized the existence of the most fully developed oral poet to his time, a person who could (at his discretion) creatively and intellectually create nuanced characters in the context of the accepted, traditional story. In fact, he discounted the Serbo-Croatian tradition to an "unfortunate" extent, choosing to elevate the Greek model of oral-tradition above all others. Lord reacted to Kirk's and Parry's essays with "Homer as Oral Poet", published in 1968, which reaffirmed Lord's belief in the relevance of Yugoslav poetry and its similarities to Homer and downplayed the intellectual and literary role of the reciters of Homeric epic. Many of the criticisms of the theory have been absorbed into the evolving field as useful refinements and modifications. For example, in what Foley called a "pivotal" contribution, Larry Benson introduced the concept of "written-formulaic" to describe the status of some Anglo-Saxon poetry which, while demonstrably written, contains evidence of oral influences, including heavy reliance on formulas and themes A number of individual scholars in many areas continue to have misgivings about the applicability of the theory or the aptness of the South Slavic comparison, and particularly what they regard as its implications for the creativity which may legitimately be attributed to the individual artist. However, at present, there seems to be little systematic or theoretically coordinated challenge to the fundamental tenets of the theory; as Foley put it, ""there have been numerous suggestions for revisions or modifications of the theory, but the majority of controversies have generated further understanding. ^ a b Vansina, Jan: Oral Tradition as History (1985), reported statements from present generation which "specifies that the message must be oral statements spoken, sung or called out on musical instruments only"; "There must be transmission by word of mouth over at least a generation". He points out, "Our definition is a working definition for the use of historians. Sociologists, linguists or scholars of the verbal arts propose their own, which in, e.g., sociology, stresses common knowledge. In linguistics, features that distinguish the language from common dialogue (linguists), and in the verbal arts features of form and content that define art (folklorists)." ^ Ki-Zerbo, Joseph: "Methodology and African Prehistory", 1990, UNESCO International Scientific Committee for the Drafting of a General History of Africa; James Currey Publishers, ISBN 0-85255-091-X, 9780852550915; see Ch. 7; "Oral tradition and its methodology" at pages 54-61; at page 54: "Oral tradition may be defined as being a testimony transmitted verbally from one generation to another. Its special characteristics are that it is verbal and the manner in which it is transmitted." ^ a b c Jack Goody (1987). The Interface Between the Written and the Oral. Cambridge University Press. pp. 110–121. ISBN 978-0-521-33794-6. ^ a b Donald S. Lopez Jr. (1995). "Authority and Orality in the Mahāyāna". Numen. Brill Academic. 42 (1): 21–47. JSTOR 3270278. ^ a b c d John Foley (1999). E. Anne MacKay (ed.). Signs of Orality. BRILL Academic. pp. 1–2. ISBN 978-9004112735. ^ Folklore in the Oral Tradition, Fairytales, Fables and Folk-legend Archived 2016-07-19 at the Wayback Machine, Julie Carthy (1984), The Oral Tradition, Volume IV, Yale University, Quote: "Folklore is said to be in the oral tradition. Dundes states that the most common criterion for a definition of folklore is its means of transmission that is, orally. He clarifies however that materials other than folklore are also orally conveyed. Therefore oral transmission itself is not sufficient to distinguish folklore from non-folklore." ^ Donald S. Lopez Jr. (1995). "Authority and Orality in the Mahāyāna". Numen. Brill Academic. 42 (1): 21–47. JSTOR 3270278. ; Quote: The early Buddhist texts are also generally believed to be of oral tradition, with the first Pali Canon written many centuries after the death of the Buddha. ^ Michael Gagarin (1999). E. Anne MacKay (ed.). Signs of Orality. BRILL Academic. pp. 163–164. ISBN 978-9004112735. ^ Wolfgang Kullmann (1999). E. Anne MacKay (ed.). Signs of Orality. BRILL Academic. pp. 108–109. ISBN 978-9004112735. ^ John Scheid (2006). Clifford Ando and Jörg Rüpke (ed.). Religion and Law in Classical and Christian Rome. Franz Steiner Verlag. pp. 17–28. ISBN 978-3-515-08854-1. ^ Delbert Burkett (2002). An Introduction to the New Testament and the Origins of Christianity. Cambridge University Press. pp. 124–125, 45–46, 106–107, 129–130. ISBN 978-0-521-00720-7. ^ Leslie Baynes (2011). The Heavenly Book Motif in Judeo-Christian Apocalypses 200 BCE-200 CE. BRILL Academic. pp. 40–41 with footnotes. ISBN 90-04-20726-0. Birger Gerhardsson; Eric John Sharpe (1961). Memory and Manuscript: Oral Tradition and Written Transmission in Rabbinic Judaism and Early Christianity. Wm. B. Eerdmans Publishing. pp. 71–78. ISBN 978-0-8028-4366-1. ^ Terence C. Mournet (2005). Oral Tradition and Literary Dependency: Variability and Stability in the Synoptic Tradition and Q. Mohr Siebeck. pp. 138–141. ISBN 978-3-16-148454-4. ^ a b Tatyana J. Elizarenkova (1995). Language and Style of the Vedic Rsis. State University of New York Press. pp. 111–121. ISBN 978-0-7914-1668-6. ^ a b Crowley, David; Heyer, Paul (1999). Communication in History: Technology, Culture, Society (Third ed.). Longman Publishers USA. p. 67. ^ Hanson, Erin. "Oral Traditions". Indigenous Foundations. Archived from the original on 18 May 2015. Retrieved 5 May 2015. ^ Hartmut Scharfe (2002). Handbook of Oriental Studies. BRILL Academic. pp. 24–29, 226–237. ISBN 90-04-12556-6. ^ a b Hartmut Scharfe (2002). Handbook of Oriental Studies. BRILL Academic. pp. 24–29, 226–232. ISBN 90-04-12556-6. ^ a b Pierre-Sylvain Filliozat (2006). Karine Chemla (ed.). History of Science, History of Text. Springer. pp. 138–140. ISBN 978-1-4020-2321-7. ^ Wilke, Annette and Moebus, Oliver. Sound and Communication: An Aesthetic Cultural History of Sanskrit Hinduism (Religion and Society). De Gruyter (February 1, 2007). P. 495. ISBN 3110181592. ^ See for example Marshall McLuhan, The Gutenberg Galaxy: The Making of Typographic Man. University of Toronto Press, Toronto, 1962. ^ Walter J. Ong. Fighting for Life: Context, Sexuality, and Consciousness. Cornell University Press, Ithaca & London, 1981. ^ a b Foley, John Miles. The Theory of Oral Composition. Bloomington: IUP, 1991, pp. 57 ff. ^ Walter J. Ong. Orality and Literacy, p. 11. ^ Walter J. Ong. Orality and literacy: the technologizing of the word, pp. 31-76. ^ Foley, John Miles. The Theory of Oral Composition. Bloomington: IUP, 1991, p 76. ^ Foley, John Miles. Oral Formulaic Theory and Research: An Introduction and Annotated Bibliography. NY: Garland, 1985. The Theory of Oral Composition. Bloomington: IUP, 1991, pp. 64-66. ^ John Miles Foley. The Theory of Oral Composition: History and Methodology. Indiana University Press, Bloomington and Indianapolis, 1988. ^ Olsen, Alexandra Hennessey. "Oral -Formulaic Research in Old English Studies:II" Oral Tradition 3:1-2 (1988) 138-90, p. 165) Olsen cites Foley's "Hybrid Prosody and Old English Half-Lines" in Neophilologus 64:284-89 (1980). ^ Foley, John Miles. The Singer of Tales in Performance. Bloomington: IUP, 1995. 2, 7, 8n15, 17 et passim. ^ Fry, Donald K. "The Cliff of Death in Old English Poetry." In Comparative Research in Oral Traditions: A Memorial for Milman Parry, ed. John Miles Foley. Columbus: Slavica, 1987, 213-34. ^ D. K. Crowne, "The Hero on the Beach: An Example of Composition by Theme in Anglo-Saxon Poetry", Neuphilologische Mitteilungen, 61 (1960), 371. ^ Clark, George. "The Traveller Recognizes His Goal." Journal of English and Germanic Philology, 64 (1965):645-59. ^ Armstrong, James I. "The Arming Motif in the Iliad". The American Journal of Philology, Vol. 79, No. 4. (1958), pp. 337-354. ^ Bäuml, Franz H. "Varieties and Consequences of Medieval Literacy and Illiteracy", in Speculum, Vol. 55, No. 2 (1980), pp.243-244. ^ Havelock, Eric Alfred. Preface to Plato. "Vol. 1 A History of the Greek Mind", Belknap Press of Harvard University Press, Cambridge, Massachusetts: 1963. ^ Kevin Robb. "Greek Oral Memory and the Origins of Philosophy." The Personalist: An International Review of Philosophy, 51:5-45.; A study of the AG oral mentality that assumes (1) the existence of composition and thinking that took shape under the aegis of oral patterns, (2) the educational apparatus as an oral system, and (3) the origins of philosophy as we know it in the abstract intellectual reaction against the oral mentality. The opening section on historical background covers developments in archaeology and textual criticism (including Parry's work) since the late nineteenth century, with descriptions of and comments on formulaic and thematic structure. In "The Technique of the Oral Poet" (14-22), he sketches both a synchronic picture of the singer weaving his narrative and a diachronic view of the tradition developing over time. In the third part, on the psychology of performance, he discusses "the prevalence of rhythmic speech over prose; the prevalence of the event' over the abstraction'; and the prevalence of the paratactic arrangement of parts... over alternative schema possible in other styles" (23). In sympathy with Havelock (1963), he interprets Plato's reaction against the poets as one against the oral mentality and its educative process. ^ "Wayne State University Press - Language and Literature: - Page 1". Wsupress.wayne.edu. Archived from the original on 2012-02-10. Retrieved 2012-10-23. ^ "Studies in Canadian Literature / Études en littérature canadienne". Lib.unb.ca. Archived from the original on 2011-08-05. Retrieved 2012-10-23. ^ "Werner H. Kelber - Oral Tradition in Bible and New Testament Studies - Oral Tradition 18:1". Muse.jhu.edu. doi:10.1353/ort.2004.0025. Retrieved 2012-10-23. ^ "Oral Tradition". Oral Tradition. Archived from the original on 2012-10-28. Retrieved 2012-10-23. ^ "Wayback Machine" (PDF). archive.org. 1 October 2006. Archived from the original (PDF) on 1 October 2006. Retrieved 28 April 2018. ^ "Culture Education" and the Challenge of Globalization in Modern Nigeria by Ademola Omobewaji Dasylva. This paper has to do with the challenges of globalization in modern Nigeria and the process of "culture education," a terminology used to emphasize the peculiar means and methods of instruction by which a society imparts its body of values and mores in the pursuance and attainment of the society's collective vision, aspirations, and goals. Within this framework, this paper examines the legacies of imperialism and colonization within the Nigerian educational system––particularly in reference to the teaching of folklore and oral tradition––including the destruction of indigenous knowledge systems and the continuing lack of adequate resources in African universities. The paper concludes by offering suggestions for a more fully synthesized indigenous and formal Nigerian educational system as a method of addressing postcolonial rupture. PDF Archived 2008-05-29 at the Wayback Machine Oral Tradition 21/2 (2006):325-41. ^ Kelber, Werner H. "The Oral and the Written Gospel: The Hermeneutics of Writing and Speaking in the Synoptic Tradition" Philadelphia: Fortress P 1983. ^ Foley, John Miles. The Theory of Oral Composition: History and Methodology. Bloomington: IUP, 1988. 55, 64, 66, 72, 74, 77, 80, 97, 105, 110-111, 129n20,; artistic cp to mechanistic, 21, 25, 38, 58, 63-64, 65, 104, 118-119n20, 120-121n16, 124n31, 125n53, oral aesthetic cp to literate aestetics, 35, 58, 110-11, 121n26. ^ Elliot Oring cites Bruchac, Joe Storytelling: Oral History or Game of 'Telephone'?" American Folklore Society Newsletter 19/2:3–4. ^ "Christopher Butler cites Bart Ehrman, 'Misquoting Jesus: The Story Behind Who Changed the Bible and Why'". Christopherbutler.wordpress.com. Archived from the original on 2012-11-05. Retrieved 2012-10-23. ^ "chapter4.DOC" (PDF). Archived from the original (PDF) on 2012-02-13. Retrieved 2012-10-23. ^ Kirk, Geoffrey S. The Songs of Homer. Cambridge: Cambridge University Press, 1962. pp88 - 91. ^ Foley, John M. Oral-Formulaic Theory and Research: An Introduction and Annotated Bibliography. New York: Garland Publishing, Inc, 1985. p. 35. ^ Foley, John M. Oral-Formulaic Theory and Research: An Introduction and Annotated Bibliography. New York: Garland Publishing, Inc, 1985. p. 36. ^ Foley, John M. Oral-Formulaic Theory and Research: An Introduction and Annotated Bibliography. New York: Garland Publishing, Inc, 1985. pp. 36, 505. ^ Parry, Adam. "Have we Homer's Iliad? "Yale Classical Studies.20 (1966), pp.. 177-216. ^ Foley, John M. Oral-Formulaic Theory and Research: An Introduction and Annotated Bibliography. New York: Garland Publishing, Inc, 1985. pp. 40, 406. ^ George E. Dimock. "From Homer to Novi Pazar and B ack." Arion, 2, iv:40-57. Reacts against the Parry-Lord hypothesis of an oral Homer, claiming that, although Lord demonstrated that the oral poet thinks in verse and offered many explanations of the various facets of the Homeric Question by recourse to the Yugoslav analogy, the difference between Homer and other, literate poets is one of degree rather than kind. Wants to rescue Homer's art from what he sees as the dangers inherent in the oral theory model. ^ Perhaps the most prominent and steadfast opponent of oral traditional theory on these grounds was Arthur Brodeur, in, e.g., The Art of Beowulf. Berkeley: University of California Press. 3rd printing 1969; "A Study of Diction and Style in Three Anglo-Saxon Narrative Poems." In Nordica et Anglica. Ed. Allan H. Orrick. The Hague: Mouton. pp. 97-114; "Beowulf: One Poem or Three?" In Medieval Literature and Folklore Studies in Honor of Francis Lee Utley. Ed. Jerome Mandel and Bruce A. Rosenberg. New Brunswick: Rutgers University Press. pp. 3-26. Wikimedia Commons has media related to Oral tradition. This page was last edited on 19 February 2019, at 22:20 (UTC).